How Quickly Does Dementia Progress? How Fast Does Dementia Advance? A dementia diagnosis is one of the most feared developments among seniors and their families who worry about how their lives will change in the face of memory loss. While most people’s understanding of dementia is based on what they know about the most severe symptoms, dementia starts off very mildly in the earliest stages. Naturally, the rate of speed at which dementia progresses varies from person to person, and understanding these basic facts about the condition can help you understand your senior loved one’s diagnosis. Your loved one’s current state of health influences the progression of dementia symptoms. For instance, people with diabetes may have reduced blood flow that decreases brain activity and affects memory. Your loved one’s dementia symptoms may also get worse if he or she has a stroke that causes damage to certain parts of the brain. Genetic factors as well as the type of dementia also affect how rapidly the condition will change. Dementia is essentially an umbrella term that describes the symptoms created by several different types of conditions, and each one progresses differently. For instance, vascular dementia occurs when blood flow is blocked to a certain part of the brain due to damaged blood vessels. With this type, the progression depends greatly on where and how the damage occurred, and the symptoms tend to develop similar to Alzheimer’s disease. Alternatively, Lewy body dementia also develops slowly, but people with this type tend to have physical symptoms similar to Parkinson’s. While people with Lewy body dementia can live over 10 years after the onset of symptoms, their health influences how fast it progresses as well. The cognitive challenges that accompany dementia often leave aging adults unable to manage everyday tasks, which puts their safety and health at risk. If your senior loved one has been diagnosed with a serious condition and needs help with tasks like meal prep, transportation, bathing, and grooming, reach out to Home Care Assistance, a leading provider of senior care Clarksville, TN, families can trust. We also offer comprehensive care for seniors with dementia, Alzheimer’s, and Parkinson’s. After a dementia diagnosis, your loved one’s physician will monitor the different stages of progression to help you understand what symptoms to expect so you can plan for your loved one’s care. Ideally, you should try to plan for the next stage whenever possible. For instance, a senior in the earliest stages of dementia may still be able to live independently with assistance at home. Typically, there will be a slow transition between each stage, but you may notice a stark shift to the next stage if your loved one has a health event such as a stroke. 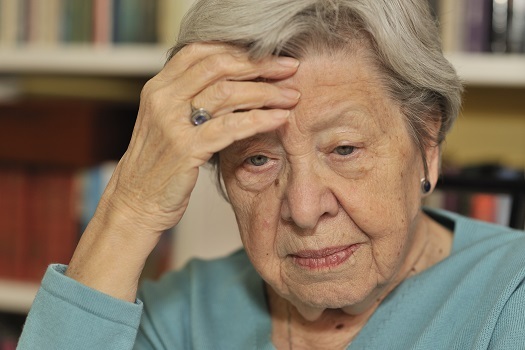 Symptoms such as wandering, confusion, anger, and frustration are common in elderly people with dementia. Dementia can be challenging for seniors to manage, but they can maintain a higher quality of life with the help of professional dementia care. Clarksville seniors can benefit greatly from the Cognitive Therapeutics Method (CTM), an activities-based program designed to promote cognitive health and delay the onset of dementia. CTM is included at no additional charge with any of the in-home care plans provided by Home Care Assistance. Dementia tends to generate a sense of helplessness, but you do have some control over how fast your loved one’s health changes. Always start by making sure your loved one takes prescribed medications for dementia as well as any other health conditions. You can also address specific symptoms to slow the progression. Playing brain games with your loved one preserves memory, and making sure he or she gets regular exercise increases blood flow to the brain that reduces symptoms. Caring for a loved one with dementia can be a challenging task for anyone. The responsibilities may sometimes feel overwhelming, but help is available. Seniors can face a variety of age-related challenges. Though some families choose to take on the caregiving duties, there may come a time when they need a trusted Clarksville at-home care provider. Families sometimes need respite from their duties so they can focus on their other responsibilities, and some seniors need around-the-clock assistance that their families are not able to provide. Home Care Assistance is here to help. Call Home Care Assistance at (931) 444-1950 to learn more about our flexible and customizable senior care plans.